It is easy to neglect your home’s roof, mostly because you might think something built to last can’t possibly have a problem. As a well-informed homeowner, however, remember that every component of your home needs taking care of. It is even better to have things regularly checked to preempt problems than to wait for disaster to strike before asking a roofing and siding contractor to take action. These metal sheets act as an added layer of protection for your roof. Adjacent edges, for example, need flashing to keep water from penetrating those sections. Flashing pieces that are bent or about to detach from the roof need to be repaired or replaced right away. Your gutters always need to be clear of anything that will get in the way of proper drainage. When you check your gutters, you may find all sorts of things caught in them, like leaves or small branches from trees around your property. If left unchecked, clogged gutters can signal the beginning of water damage throughout the rest of your home. Soon enough, you’ll need siding and window replacement too. When you check your gutters for debris and see signs of dislodged roofing material, there is a good chance that some of your shingles may need inspection. 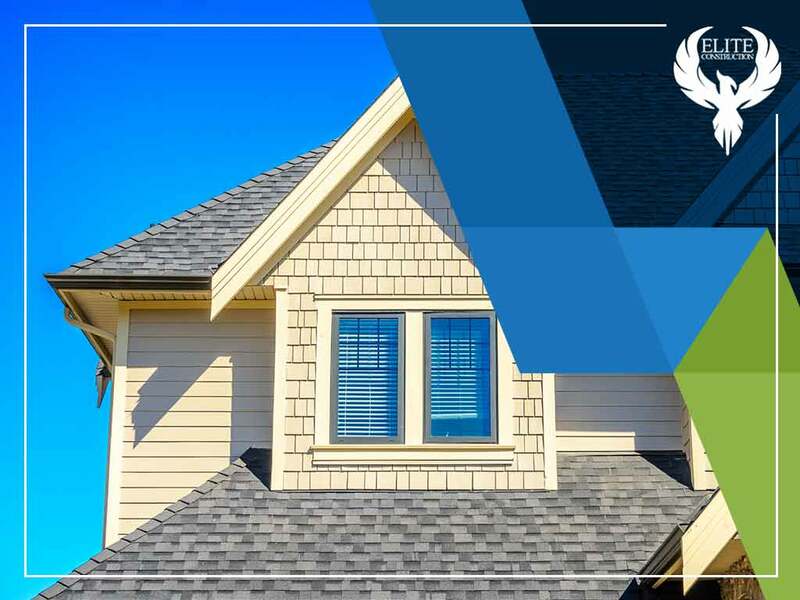 Have a professional roofer look at your shingles and determine if some of them are starting to come loose or if some pieces have gone missing completely. At Elite Construction, we are not just a roofing and siding company. We are a team of highly trained and experienced professionals who put our customer’s needs first. Reach out to us at (844) 217-0506 to learn more about caring for your roof and keeping it in the best condition possible. We give free estimates to homeowners in several CO areas, including Golden, Thornton and Lakewood.